You can buy one unlocked from Apple’s Canada Store; screenshot above. The unlocked option is not available in the US yet. 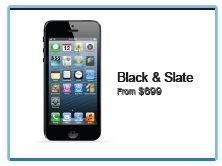 I was not too sure about a $700 GSM iPhone being unlocked when I went to buy one on Friday as result of The Great Chase. Internet sources said that a “Device only” purchase would be an unlocked device but Apple’s official stance was “your provider still needs to unlock it”. Contrary to retail store employees’ insistence that the iPhone is still locked to AT&T or Sprint or Verizon, the iPhone is unlocked once you restore it and the device’s IMEI is cross checked with Apple’s servers. I restored the device back at home (should’ve done it at the Apple Store) and iTunes displayed the message that the “iPhone is now unlocked”.